Taking the gloves off, Apple just issued a forceful response to Spotify’s assertion that the U.S. tech titan should be investigated by EU antitrust regulators. Along with taking credit for Spotify’s success, Apple is essentially calling the Swedish streaming giant selfish and ungrateful. “After using the App Store for years to dramatically grow their business, Spotify seeks to keep all the benefits of the App Store ecosystem -- including the substantial revenue they draw from the App Store’s customers -- without making any contributions to that marketplace,” Apple stated. That is in reference to Spotify’s objections to the 30% tax Apple tacks onto purchases made on the App Store. As it stands, app owners have no other choice but to pay the tax, Spotify founder-CEO Daniel Ek said earlier this week. In response to Ek’s negative characterization of its business model, Apple portrayed itself as the best thing that ever happened to the developer community and app makers everywhere. “The App Store has helped create many millions of jobs, generated more than $120 billion for developers and created new industries through businesses started and grown entirely in the App Store ecosystem,” Apple stated. It added developers get quite a lot in exchange for the fees they are forced to pay. “At its core, the App Store is a safe, secure platform where users can have faith in the apps they discover and the transactions they make,” Apple said. Rather than stop there, Apple then took a shot at Spotify’s own questionable business practices. However, some analysts seem to think that Spotify is making a convincing case against Apple. 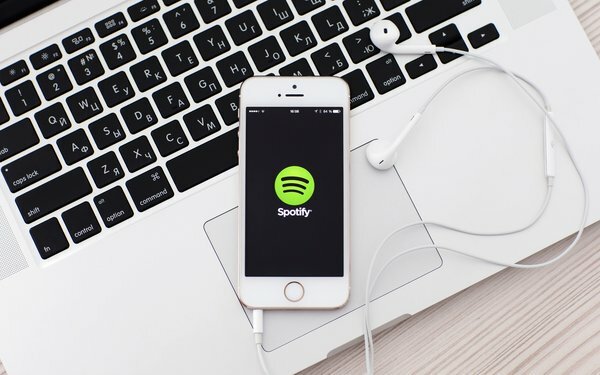 “We believe Spotify is largely on the right side in both facts and principle, which creates risk that App Store policy terms will be forcibly changed in a way that negatively impacts Services revenue and Apple’s brand,” according to an analyst note from KeyBanc. Regarding Apple’s 30% tax on third-party services, KeyBanc analysts say it serves “no practical purpose other than to force competitive services into higher cost structures and unfairly tax service activity on the iOS platform."